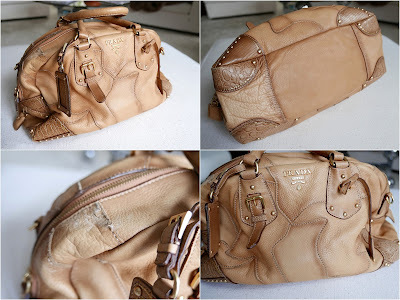 A used bag from Prada, with clear signs of wear, especially in one angle but a lot to love still. Beautiful and soft leather, very functional for work and daylife. Click the picture for close ups. Pris: 1800SEK or 190Euro and I'll stand for the shipping worldwide. For serious buyers, email me at stina_auer@live.se and expect a fast reply back with payment instructions.